Friday 9 February marked an exciting first for NAHT with the launch of our first ever Secondary conference. 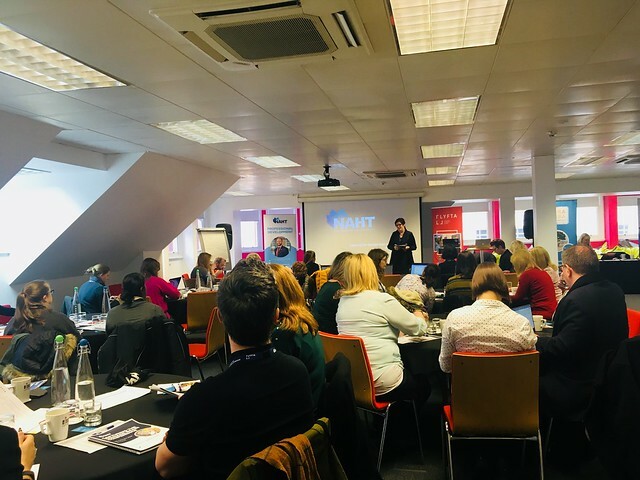 A success from start to finish, the event brought secondary practitioners and sector experts under one roof to share best practice and unlock new ways to engage secondary students in learning. Next, paediatric neurologist, Doctor Andrew Curran outlined the importance of considering attachment theory in pupils and in ourselves as educational practitioners. Curran emphasised the importance of forming a secure attachment style. Bringing neuroscience to the fore, Curran provided insightful commentary on adolescent brain development and its effects on behaviour both in and outside of school. Sarah Kendrick from Place2Be followed by talking about the importance of developing a whole-school approach to mental health. Kendrick highlighted alarm bells for school leaders to look out for and highlighted the main mental health challenges facing adolescents including depression, anxiety disorders, eating disorders, the onset of psychosis, post-traumatic stress disorder and suicide. She stated that school staff must first look after their own mental health to promote positive mental health with the children they are working with. We asked Sarah Kendrick some key questions ahead of secondary conference 2018, find out what she had to say here. A thought-provoking hour led by accomplished educational psychologist, Dr Juliet Starbuck who dispelled neuromyths and informed participants on the impact of social influence on risk perception and impulse control. Delegates were encouraged to consider what might motivate an adolescent to make the choices they do and discussed the positive and negative impact of risk-taking. Director of Teacher Toolkit, Ross Morrison McGill provided a highly interactive and engaging workshop, providing practical tips on balancing workload and supporting all children in the classroom. During the workshop, delegates were encouraged to reflect on the most vulnerable students in our society and how they must navigate through an education system stuffed with external accountability and a narrow curriculum. A real insight into the resilience and scope of the brain. This workshop outlined a ground-breaking psychological approach to empowering adolescents to learn strategies to combat low self-esteem and self-worth. Rather than trying to 'fix' teenagers, this session demonstrated the innate resilience within ourselves. A highly practical workshop on supporting staff to improve working relationships with their learners, this workshop identified ways to develop effective learning cultures that offer students opportunities to better connect with their educational experiences and improve their own collaborative learning. How are behaviours formed and what can be done to support children who demonstrate challenging attitudes through curriculum content? This workshop run by travelling teacher and curriculum imaginer, Hywel Roberts considered how so-called ‘soft skills’ can underpin the supporting of great progress in young people using case study example of what is being done at Springwell Learning Community in Barnsley. Professor in Psychology and Education, Guy Claxton provided a thought-provoking conclusion to the day. Guy Claxton set out the learning power approach and emphasized the need for children to default to a ‘learning mode’ state in which children learn from mistakes. Claxton made the bid for the significance of ‘learning mode’ to be embedded into the culture of the classroom and the school. He concluded with setting out the school leaders’ roles of learning power and key tasks that can be undertaken in school to make positive changes to the teaching and learning culture within school. For more information, read our Q&A with Guy Claxon here. We’d like to say a big thank you to everyone who attended secondary conference 2018 who made it such a special event and a special thank you to our conference sponsor Lyfta. If you’re interested in engaging, explorable content that broadens children’s horizons, you can visit their website here.